The purpose of the Mattermost User Experience Guidelines (“UX Guidelines”) is to deliver a level of usability and consistency that turns users of Mattermost software into fans of the Mattermost experience. 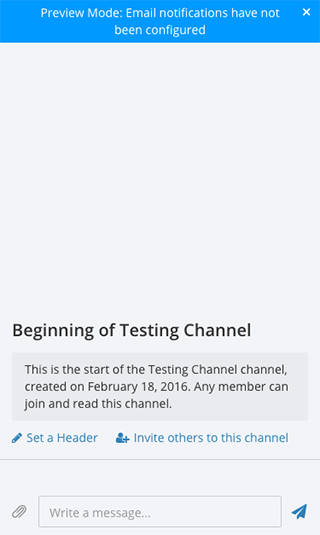 If you’re interested in contributing to design discussions, please join the Mattermost UX Design channel to discuss. These principles define the standard we’re setting for the Mattermost experience. Fast has two parts: being “responsive” and being “quick”. Responsive means when a user clicks, taps, types or otherwise enters input we give immediate feedback that the input is received and something is happening. It could be a spinner animation, or just some text saying “Loading”, but something always responds to the user. Quick means things happen as soon as they can. Loading pages, sending messages, receiving notifications and other vital actions should be automatically benchmarked for performance. Bugs should be opened on performance regressions. There is no such thing as “user error”–it’s always our fault as product designers. We prevent problems of incorrect usage by making users aware of correct usage. Fixes could be through user interface improvements, adjustments to help text or helping users recover when things go wrong–for example, adding undelete, undo and rolling back. When our product is correct, users are never confused. Everything we do–features, interface layout, labeling, help text and documentation–needs to make sense in the mind of the user, even if it means occasionally oversimplifying how things technically work. If a user doesn’t understand how to use a feature, all the underlying effort and code is wasted. The “Obvious” design principle also flows through to our Documentation Guidelines. Given Hick’s Law, core functionality should be apparent, and advanced functionality should be possible via sub-menus and be well documented and tested. Functionality that is not fundamental to the product purpose should be ruthlessly omitted. Use design patterns familiar to our audience–general non-technical users for the core messaging experience, IT administrators for configuration experience, developers for the developer experience. Mattermost UX should be drawn from patterns and derivations of other experiences in a mix of familiar approaches. Remember: Software is an invention–there’s nothing “intuitive” about it, there is only what is familiar. There will be unavoidable product failures, whether through technical issues like loss of connectivity or through our inability to make the user aware of correct usage. Being forgiving means reducing the negative impact users encounter during failures–not losing their data, not deleting, updating or sending something they didn’t intend to send, and so forth. Features like confirmation dialogs on critical actions or temporarily saving user input in case of disconnect are examples of forgiveness. That said, forgiving does not mean allowing the product to be used incorrectly by breaking the “Obvious” principle. As an analogy, if someone kicks a football and misses the goal, being forgiving means giving them a chance to kick again, it does not mean counting the miss as a goal. International - Design with an international, multi-lingual audience in mind. Use patterns and language without US, Western or culture-specific references when possible. Compatible - When aligned with our other design principles, we should deploy UX and integration patterns from the other products for which we support the import of teams and users. Priority-focused - Communication is a starting point towards the end goal of helping users within an enterprise achieve their highest priorities through modern communication. We prefer the term “messaging” to convey the sending of thoughtful communications that moves ideas forward, to the term “chat”, which doesn’t imply progress. By default, every new feature should be a plugin. Why? Disabled by default and must be turned on by a System Admin. Grows the plugin ecosystem with better support for external plugins. The feature requires high performance access. The feature would be used or extended by a plugin (e.g. 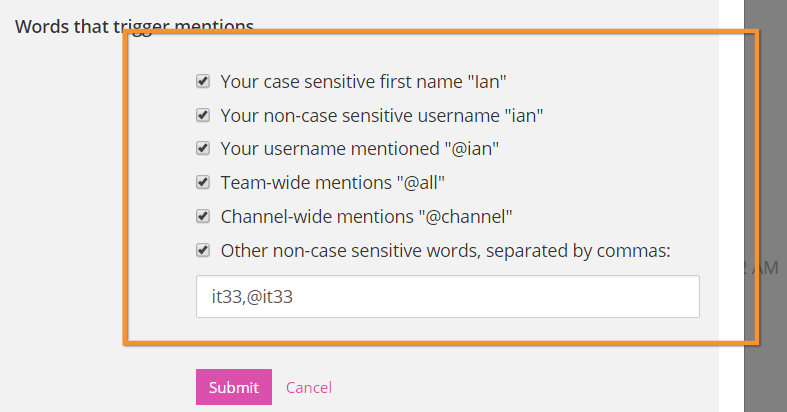 bot accounts or Account Settings modal). The feature would be used by every Mattermost instance (e.g. flagged messages, replies). 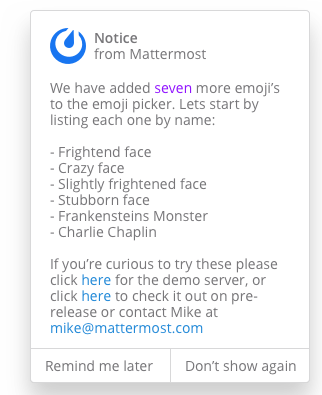 To customize the Mattermost user interface. 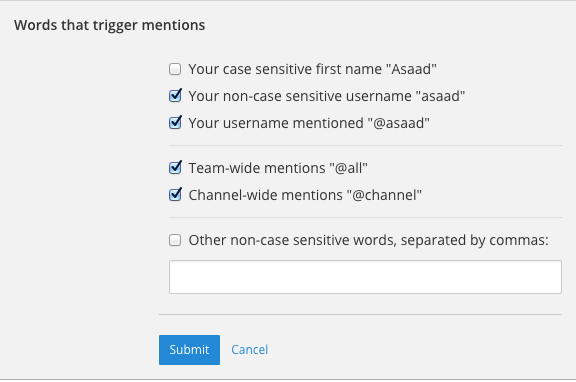 To extend Mattermost functionality to meet a specific, complex requirement. To build integrations that are managed by your Mattermost server. To prototype a new feature with a plugin. Since we’re using bootstrap, try to utilize bootstrap classes as much as possible rather than creating new styles or using inline styles. We’re using BEM methodology and would advise everyone to do so when creating new classes or ids. There are many places in our app that currently don’t follow BEM, but we’re trying to improve the codebase. Here is a brief overview of the BEM syntax. The webapp supports two main modes of displaying the app: desktop view and mobile/tablet view. The app is primarily used in desktop view, but when the screen is 768 pixels or less wide, it switches to mobile view. The mobile view is also used in mobile browsers and the Classic App. The target screen sizes are 1280 x 800 or 1920 x 1080. Note that the space available for content will be smaller than this due to the the frame of the window and system-specific components like the taskbar on Windows. For example, the desktop app on Windows 10 only has a usable height of 717 pixels when the tab bar is visible at 1280 x 800 resolution. The minimum content size is 769 x 600. When the width is 768 or less, the app switches to mobile view. When the height is below 600, UI elements may become misplaced. The minimum and target content size is 320 x 460, matching the available space when the app is opened in Safari on an iPhone 5. The minimum and target content size is 320 x 568, matching the screen size of an iPhone 5. Note that you’ll still need to leave space for system-specific components like the status bar or soft buttons on iOS, but much more of the screen is usable. User experience design is a discipline drawing from ergonomics, ethnography, human factors research and cognitive psychology. It’s evaluated qualitatively with tools like heuristic evaluation and cognitive walkthroughs, and quantitatively through telemetry, anonymous usage data and other automated diagnostics. As with any design process, iteration, prototyping, informed critique and evaluation is vital to doing our best work. Developing the skill of informed critique in our community increases the quality of our designs and of our product. This guide outlines the levels of UX feedback in the order of positive impact in order to guide contributors towards the behaviors that best advance a fast-moving, asychronously-developed open source product. Entry-level UX feedback: Authentic questions or suggestions for design changes, presented with good intentions, coming from personal preferences with less than 2 minutes spent thinking about the pros and cons of the changes the feedback suggests. Example 1: Well intentioned suggestion that does not consider pros and cons. Why not change channel length from 22 characters to 50 characters? Example 2: Attempt to help provide “input” in a design discussion, but instead of using objective criteria such as audience, community, customers, examples, research or principles, expresses a political “vote” that may bias or confuse a design discussion. +1, that is my personal preference! Intermediate UX feedback: - Comments, critique or questions about design with thoughtful consideration–including trade-offs–of the goal and principles of a design, along with UX principles of the project, and patterns from other products. Example: Thoughtful suggestion listing trade-offs that reference principles. 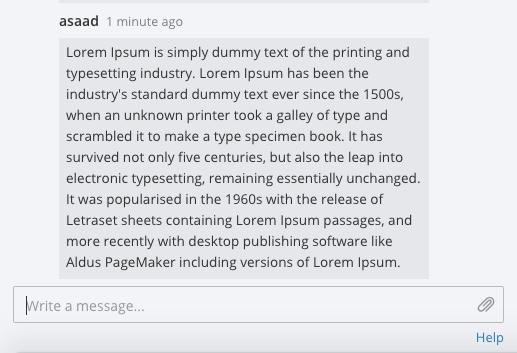 What if we used a reply icon, similar to replies in email, for the comment function? Screenshots below. Pros: a) More familiar to email users. b) More distinct than the word balloon icon typically used for “Comment”, which is too easily confused for “Message”. Cons: i) We use the symbol of “Reply” for “Comment” (the UI has an “Add Comment” button in the UI), which could be confusing. ii) When we add a “Forward” icon later to move a message to a different channel, the “Reply” and “Forward” metaphors may get muddled”. UX feedback at intermediate level or higher is highly appreciated. It should be encouraged and recognized as a substantial contribution to the design process. Advanced UX feedback: - Constructive feedback that enlightens a design discussion, shares fact-based heuristics, helps clear blindspots and inconsistencies, and significantly improves a design, and potentially design guidelines. Analysis naturally considers variations needed across web, PC and mobile experiences. Example: Noticing a design issue and influencing a change in UX guidelines to correct things system-wide. A menu with 10 items without groupings seems too long. Both Apple (link) and Windows (link) user interface guidelines suggest fewer than 7 options before grouping. I’d propose we use fewer than 5. There’s research showing 5 items as a number most people can comfortably store mentally (link), and looking through other products I don’t see situations where we wouldn’t be able to group by 5. Also, fewer menu items, perhaps through sub-menus, should also help mobile experience, where ungrouped 10-item menus just look messy. I’ve added a PR on UX guidelines where we can discuss this as well. Elements should feature margins horizontally and vertically, evenly spaced. Create space between elements, such as buttons, text, line separators, headers and backgrounds, by leaving even space around them (either equal space or at most 1 pixel difference). Button positioned in the middle of the header. Error message does not extend beyond the horizontal line separator. Horizontally align multi-line elements along a vertical line. Roles right-justified with respect to the text and irrespective of the icon. Button in the footer of the dialog should either be “Close”, or “Cancel” and [ACTION_BUTTON]. If there’s one button on the bottom right, it should be “Close”. If there are two, the one on the left should be “Cancel” and the one on the right should be an [ACTION_BUTTON], like “Save” or “Send Invitations”. Single button at the bottom right should be “Close”. When there are two buttons on bottom right, left button should be “Cancel” and the button on the right should be the [ACTION_BUTTON], in this case “Send Invitations”. When there are two buttons at the bottom right, left button should not be “Close”, as it’s not clear if closing will or won’t execute the [ACTION_BUTTON]. The color of the on_hover state should be the same as in active state, with opacity = 0.7. When there’s not enough space for the label and an icon can easily represent the label. When an icon can help the user more quickly understand a feature. When the term/phrase is too specific or complicated. When using icons, different options in the same section should have different icons. File a bug if the icon is difficult to understand or has cosmetic defects (size, blur, etc.). File a bug when an icon doesn’t obviously indicate the underlying feature. Instructions should be sentences, one-line links should be fragments. Instructions, such as “A password reset link has been sent to you@email.com for your account. Please check your inbox.”, should be displayed as sentences ending in periods. One-line links, such as “Find it here”, should not end in periods or commas, but question marks are okay. 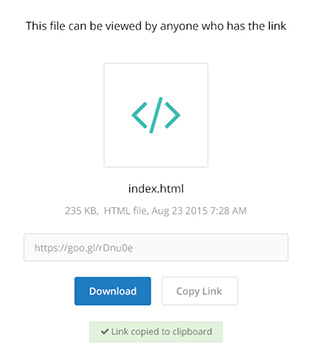 Instructions containing a link to an external resource (ie: a blog article or docs.mattermost.com), should not be hard-coded. A redirect page from about.mattermost.com should be used in product instructions. Redirect pages should be formatted as https://about.mattermost.com/default-[SUBJECT]. 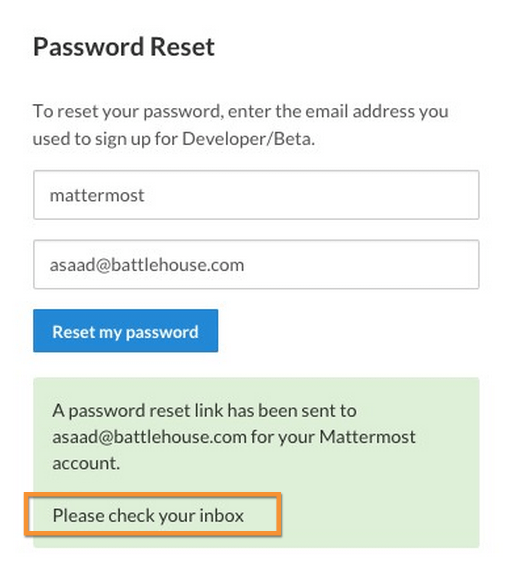 An about.mattermost.com page can be requested from the Product team at Mattermost. Instruction “Please check your inbox”, ending with a period. Instruction “Please check your inbox”, ending without a period. 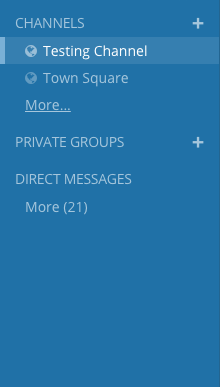 Usernames should be preceded by the @ icon in all places except for the Direct Messages list in the left-hand sidebar, and for any post or comment made by the user. User list in the system console. Members list for the current channel. To simplify decisions, when practical, limit the number of choices to 3 or 4, and add separators or headings between logical groups. See Hick’s Law for background on why this helps. No clear separation between distinct options. A clear separation between distinct options. 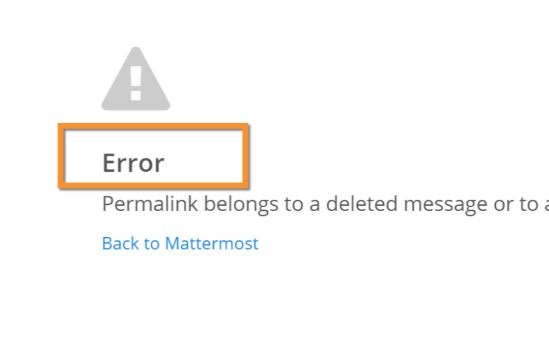 On occasion, Mattermost users may encounter a problem that prevents them or the Mattermost system from successfully completing a task. The unexpected user behavior or system response should be communicated to the user through an error message, and should follow the design principles of forgiving and obvious. State the encountered problem with the component in the title (e.g. “Team URL Not Found”). Describe very briefly why the error happened under the title. When possible, have a link to direct users to help complete their original task or return to the previous state. Give recommendations/solution(s) for the next course of action. Be consistent with the Mattermost voice and professional look. Be avoided when possible (by avoiding the error condition). Be in red or in capital letters. Say or have the term “Error”. End in an exclamation point. 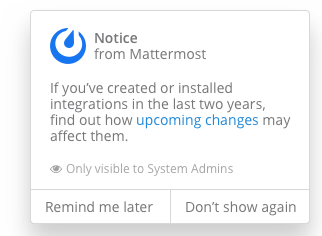 On occasion, Mattermost users may encounter a system notice generated by Mattermost as part of a recent release. The system notice should be communicated to the user via a pop-over message in the bottom right of the screen, and should follow the design principles of Fast, Obvious, Forgiving. State that the notice is from Mattermost. Describe very briefly and in an unintimidating tone the reason of the notice. When possible, include a link that directs users to help documentation related to the notice description. Be clear who can see the message. 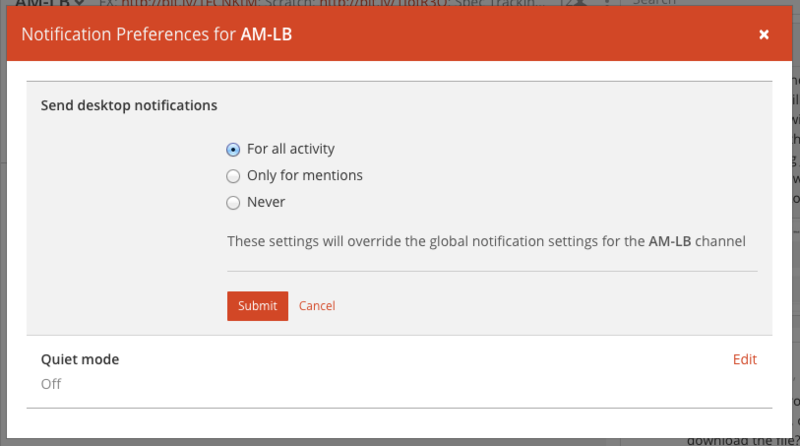 Give three action options: a link that can be clicked, “remind me later” button or “don’t show again” button. Be used very selectively to highlight significant change(s) within the current release. Be in colored text or in capital letters. Exclude who can see the message. Users should enter information into fields without much thinking. Enter button on last input field should trigger default dialog button. Having radio buttons for input options. NOTE: We should use radio buttons/checkboxes for input options rather than custom bootstrap on/off switches. Mattermost voice for documentation and help text follows this simple guideline: explain something to a user with basic computer skills in simple terms without jargon or complexity. The labels on input fields should be clear and concise for the intended user. Consider the surrounding UI for consistent naming of input fields with similar actions. Channel URL: The web address used to reach your channel. Handle: The name of the subdirectory used to navigate to a channel using the site URL appended with the handle name. Must use only valid URL inputs. The fieldname of a setting should explicitly describe what a setting affects. Text below an input field should clearly and concisely describe the purpose of the input in an active voice. In general, avoid describing the technical requirements of the field in Help Text, and use Placeholder input text, field validation and error messages to convey requirements. The exception to this guideline is if requirements are non-obvious, such as passwords needing different numbers of characters, symbols, etc. For a setting involving a CONDITION and an ACTION, the help text should be written as “ACTION when/for CONDITION”. Flash the taskbar icon when a new message is received. When a new message is received, flash the taskbar icon. 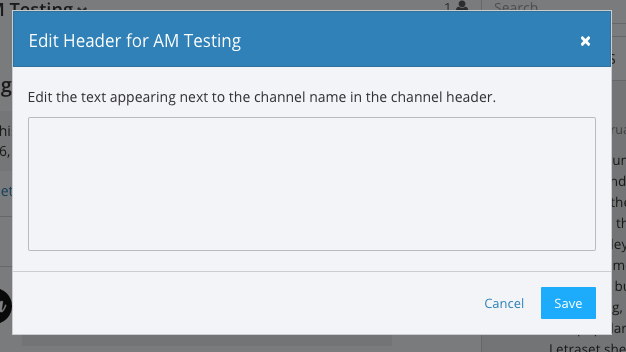 You can adjust a few configuration settings when setting up your instance of Mattermost. Note: The incorrect string above machine-translated into German and then back into English becomes: “There are some configuration settings you could know if your instance Matter Most violin”. 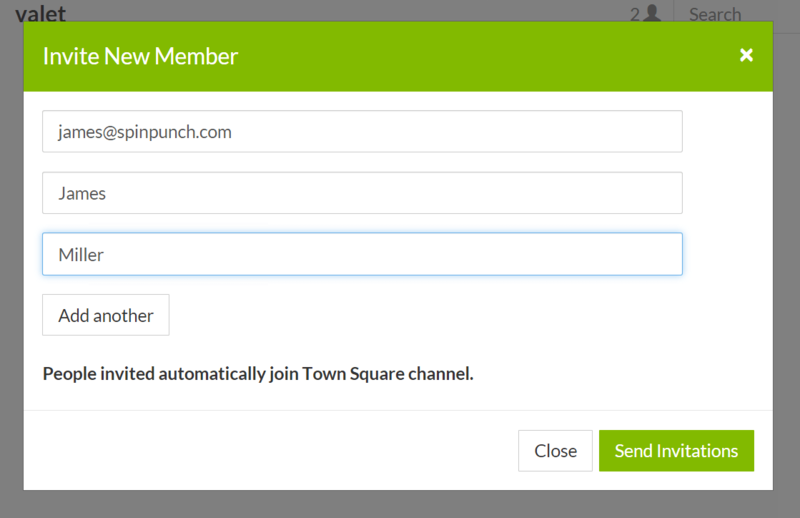 Show examples of valid input, such as name@example.com for email addresses, as well as examples of functionality that is not obviously supported. For example, for a channel name field the placeholder input text could be Example: Marketing, John’s Room, 中国业务. Use field validation to help prevent or correct any mistakes a user might make. 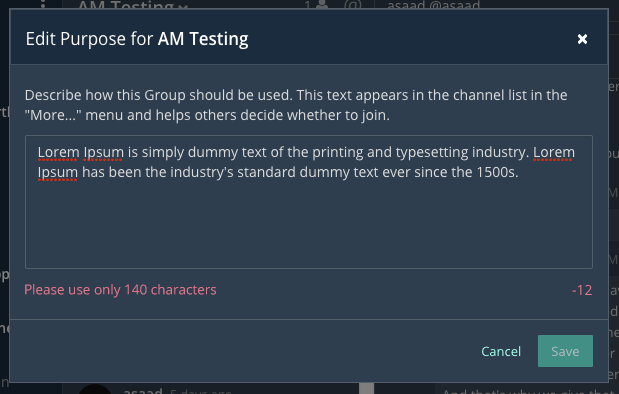 For textfields, restrict users from making entries that are too long by limiting characters via the maxlength attribute. For textareas, show a character counter and then a helpful message if the user exceeds the maximum number of characters. If a user enters invalid uppercase letters and spaces for a URL, show an error message and also offer a correction, substituting dashes for spaces and lower case letters for uppercase letters, so that the user can resubmit immediately with valid input. All inputs such as textareas should behave consistently. If the default behavior is to perform an action on “Enter”, then all inputs of that type should be consistent and perform an action on “Enter”. User should be notified about the action they perform along with any implications associated with them. A prompt should appear if a user makes changes to a setting and attempts to navigate away without saving them. Items in a menu should be grouped together based on the category they belong to. Items per category however should not exceed five, with the exception of seven for the System Console. May include an “x” button to dismiss. Is limited to 60 characters. Appears over the rest of the UI instead of pushing the UI down. Multiple headers can appear, with the earliest notification at the top and more recent notifications appearing underneath. Includes “x” button to dismiss. Removed when system admin cancels. No “x” button to dismiss. Dismissed when issue no longer persists. While we intend to eventually document all the variations from GitHub markdown, until that is complete we consider any variation in rendering from the current release of Mattermost to be a regression that should either be fixed prior to the next release, or documented here. 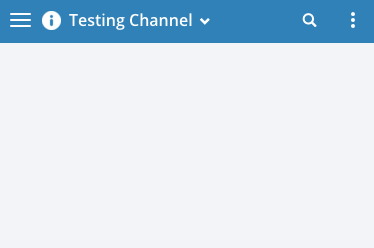 Currently the /test tool can be used for testing Mattermost markdown versus GitHub markdown. If the action a user needs to perform is obvious, we should make conscious decisions to reduce some of the steps involved in that process. Clicking on the search icon on mobile should focus the search bar when it slides in. 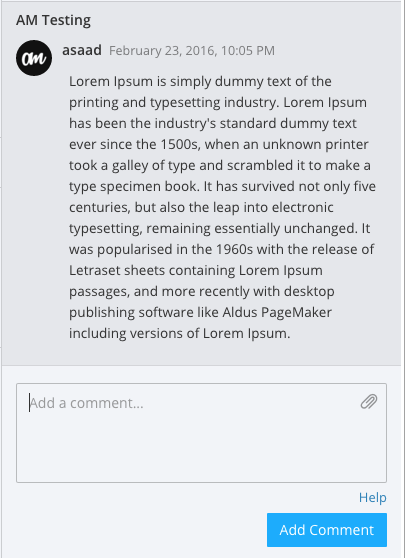 Clicking on the reply icon should move the focus to the comment box in the right-hand sidebar. Switching channels should move the focus to the post box in the center channel. In addition to above guidelines, the below provides a concrete checklist of mistakes to watch for when reviewing proposed product changes. 1) Is the WHITESPACE next to icons SUFFICIENTLY SPACED? 2) Is the WHITESPACE next to icons EVENLY SPACED? 3) Are there visual GAPS? 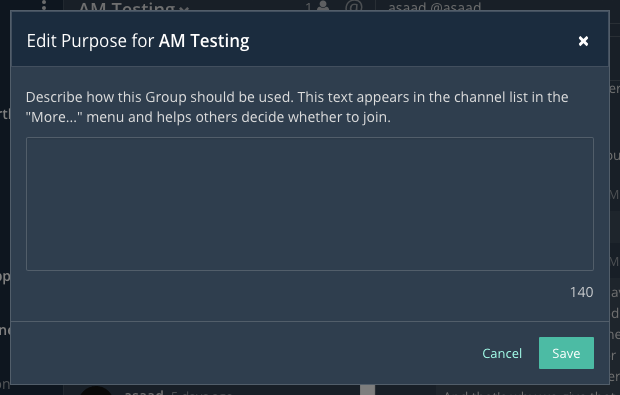 4) Read all help text OUT LOUD–is it helpful to a new user? 5) Does the UI work with a dark theme? Sometimes bugs are found with theme colors, so it is important to test on both light and dark themes.